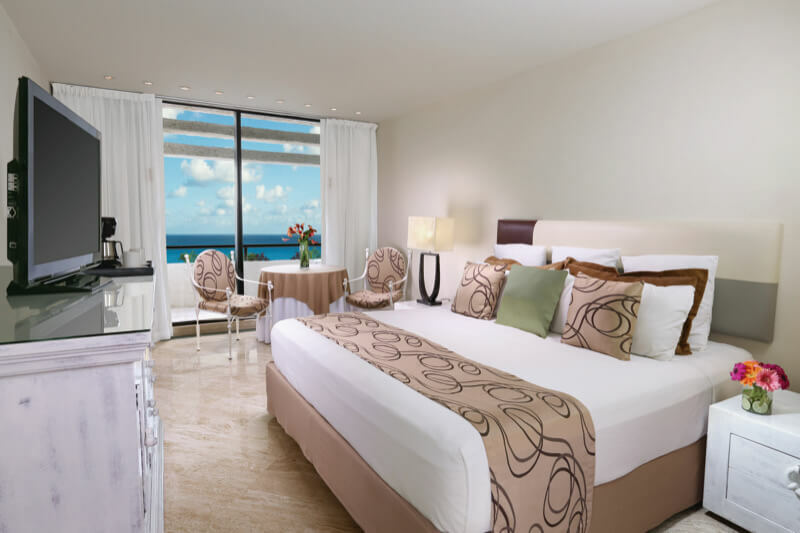 In this property conformed by outstanding facilities facing the crystal-clear waters of the Caribbean Sea, it's no coincidence that its rooms are beautiful spaces with fine decoration and equipment offering privacy, relaxation and style. 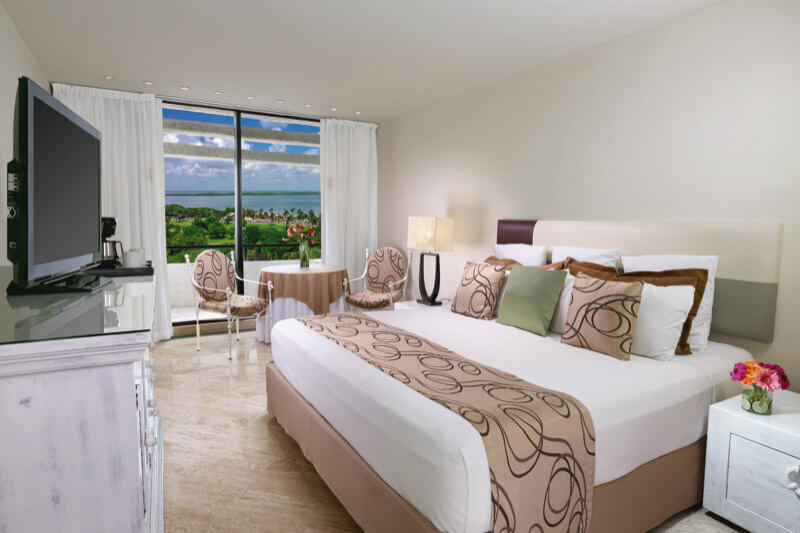 Get to know the rooms in Grand Oasis Cancun and choose your favorite; all of them boast top-shelf amenities and several details that will let you enjoy your Cancun all-inclusive vacation to the fullest. 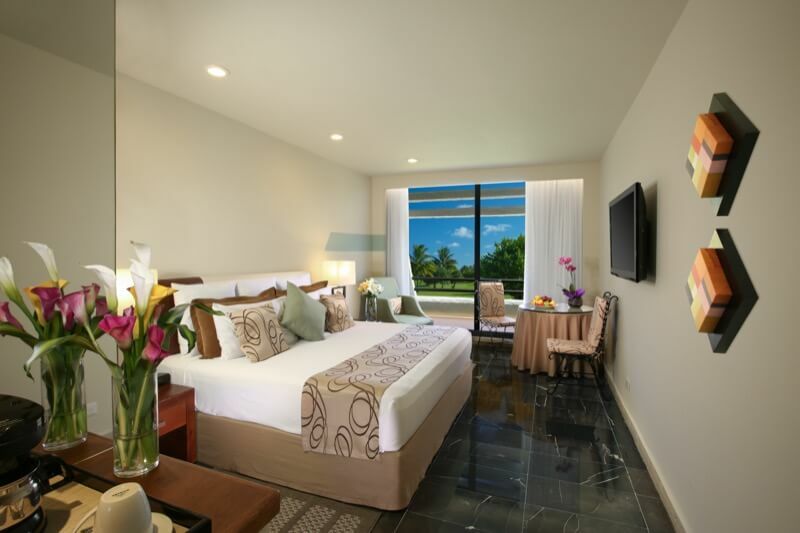 Amplitude, total comfort and a calm atmosphere framed by the turquoise waters of the Caribbean; that's how it feels to stay in one of this beautiful rooms, fully equipped and ready to let you spend an unforgettable Cancun vacation. Room service 24 h (delivery service charge). 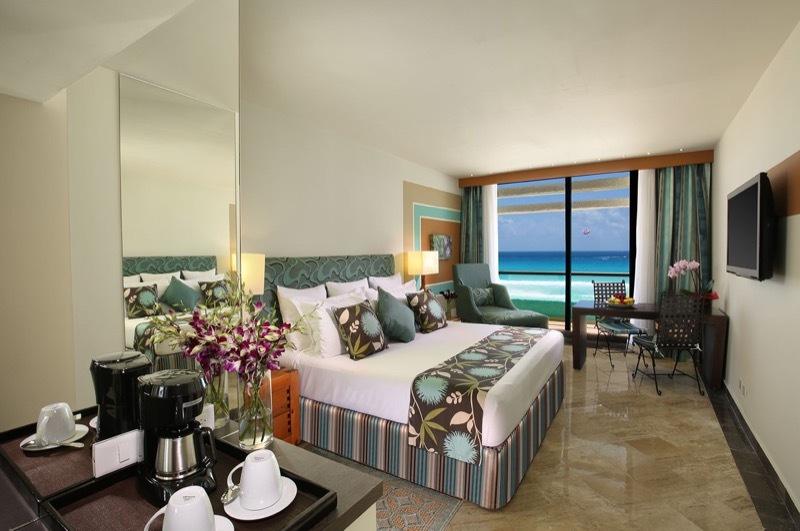 Enjoy the best sunsets in Cancun in a quiet and relaxing atmosphere in our Standard Sunset View rooms; fully equipped with all the necessary amenities you are looking for during your stay at this all-inclusive hotel. Relax in the absolute comfort of our Standard Garden View rooms, overlooking the pools, fountains and leafy green gardens of our resort. Enjoy a fantastic all-inclusive experience in the city of Cancun.